Android 4.2.2 Jelly Bean update for Samsung Galaxy S3 leaks ahead the official launch of Android 4.2.2 update for Samsung Galaxy S3. 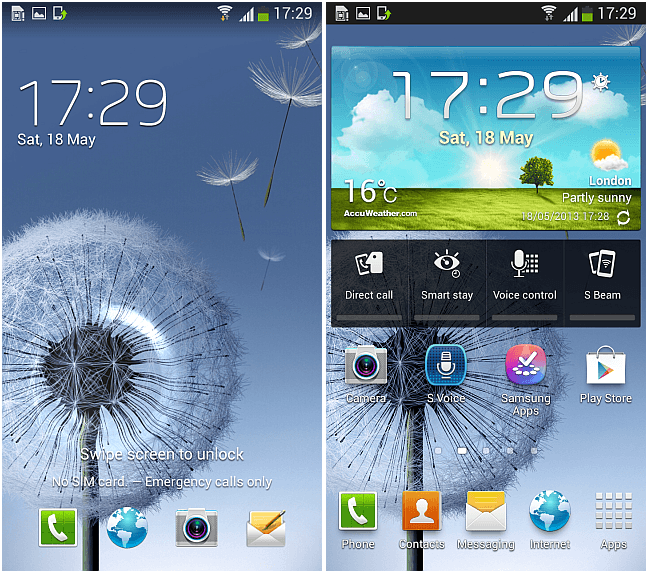 The leaked Android 4.2.2 rom shares lot of tabloids with developers, and reveals that Samsung is planning to bring Samsung Galaxy S4 features to Samsung Galaxy S3 with Android 4.2.2 Jelly Bean update this summer. The latest build will allow users to supercharge their Samsung Galaxy S3 devices with additional features such as the smart sensing, and smart features that attracts people towards the device. However, software based features are not the only reason people like Samsung Galaxy S4, but still Samsung Galaxy S III users can get the same features with Android 4.2.2 Jelly bean update. Android 4.2.2 Jelly Bean with all its official core features like lock screen widgets, daydream, notification actions etc. We have embedded the tutorial on how to install Android 4.2.2 Jelly Bean leaked build on Samsung Galaxy S III device. But make sure to check out the requirements at first, and as well as the Disclaimer. Because we will not be responsible for any loss of your data. It is merit revising here that leaked build is an internal beta build, and it may contain several bugs and hiccups for general use. So make sure to take hard backup of your data on your device, because anything can happen to your device while flashing Galaxy S3 with leaked Android 4.2.2 Jelly Bean update. International GSM Galaxy S III I9300. Do NOT attempt to flash it to any other variant of the S III. Take a backup of any data that you might need in case you later need to do a factory reset. This includes any data you might have on your internal SD card. Download the ROM’s package and extract the contents of the downloaded zip file to your computer. Download and install Samsung’s USB drivers, if they aren’t already installed. Power your phone off and boot it into download mode by holding Home and Volume-down buttons while powering it back on. Launch Odin on your computer and connect your phone to it via USB. You should get a blue indicator sign on Odin. Click ‘PDA’ in Odin and select the I9300XXUFME3_I9300OJKFME1_HOME.tar.md5 file. Leave everything as it is, and especially make sure that Re-Partition is unchecked. Click ‘Start’ to begin flashing, and wait for the process to finish. If you have followed the above mentioned tutorial by AddictiveTips, then you should have Jelly Bean 4.2.2 running on your device.